Concrete cutting is a specialist skill which requires specialised equipment. A core component of this speciality is the actual saw blade and drill bit used. 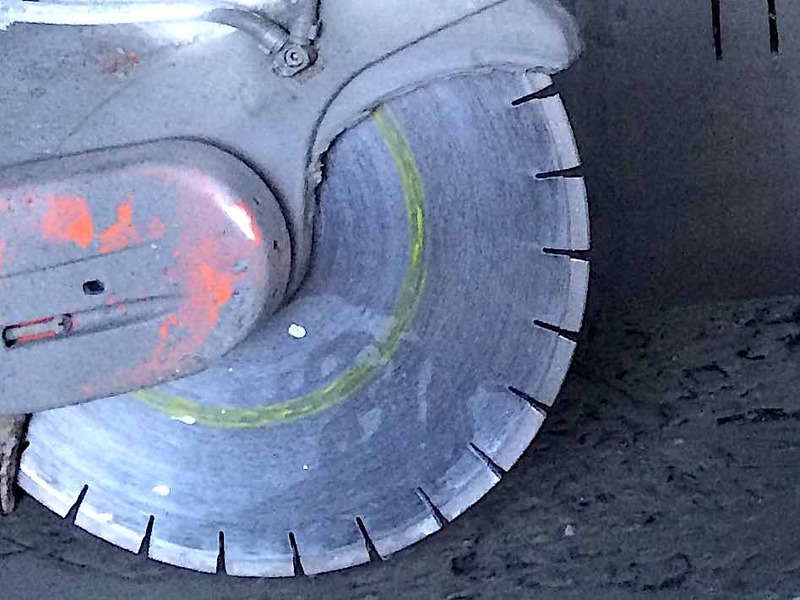 For concrete cutting and drilling, diamond tipped saw blades and drill bits are most commonly used. But what actually is a diamond tipped blade or drill, how do they work and what is the best option for cutting concrete? What is a Diamond Tipped Saw Blade or Drill? A diamond-tipped saw blade has, as the name suggests, has a diamond coating applied to the tip of the blade. Fine diamond crystals are bonded to the end of the steel blade via a process called sintering. This allows the super hard diamond crystals to be the actual cutting agent that makes contact with the concrete. Diamonds are the hardest material on earth and as such, make it the best material to have when cutting into super hard material like concrete. How does a Diamond Tipped Blade or Drill work? While cutting and drilling are the terms used, diamond-tipped saws and core drills actually grind away the concrete surface. As the super-hard diamond crystals rub at high speed against concrete it makes a clean and precise cut by grinding away the concrete material in its path. As the diamond crystals themselves begin to smooth, the diamond crystals will peel away and expose the fresh, rough diamond crystals underneath. This keeps the blade working at its optimal cutting performance. What is Involved in Choosing a Diamond Tipped Blade? The choice of the diamond tipped blade is important to get the best quality cut in the fastest time at the least cost. Diamond blades can vary greatly based on the strength of the bonding agent used and the size of diamond crystals. For instance, to cut through a very hard material in the quickest time possible a diamond tipped blade with smaller diamond crystals would be used that have a weaker bonding agent. So there is a fair bit of skill required in choosing the best blade for each application. Why is Water used with Diamond Tipped Blades? Cutting hard materials such as concrete generates a lot of heat and also dust. Using water keeps the blade cool, preserving the blade durability. Water also turns the harmful concrete dust into a slurry which can be contained and cleaned up a lot easier. Concrete dust also contains silicates which can seriously affect the lungs if inhaled. Water flowing into the cutting area also removes any build up of waste material, further increasing cutting efficiency. See the below video of a diamond tipped core drill using water to reduce the dust and heat. 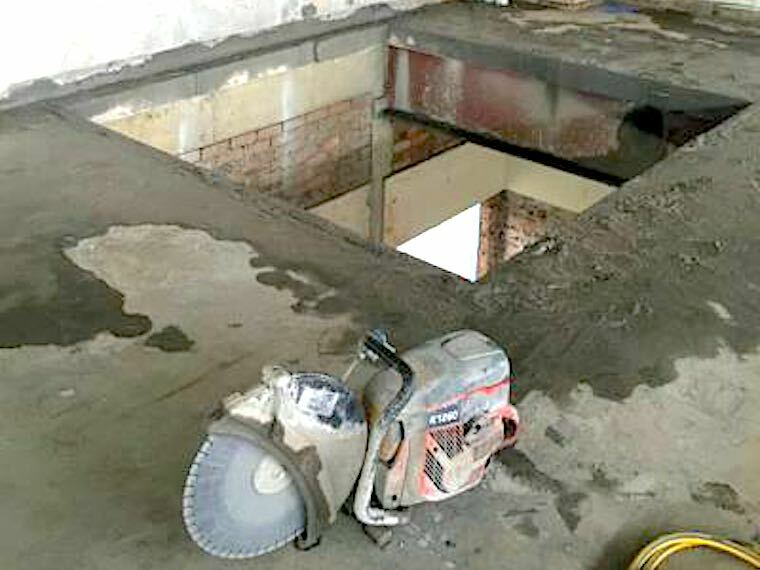 Concrete cutting is a specialist skill and the use of diamond tipped saw blades and core drill bits to cut concrete is best left to the experts. 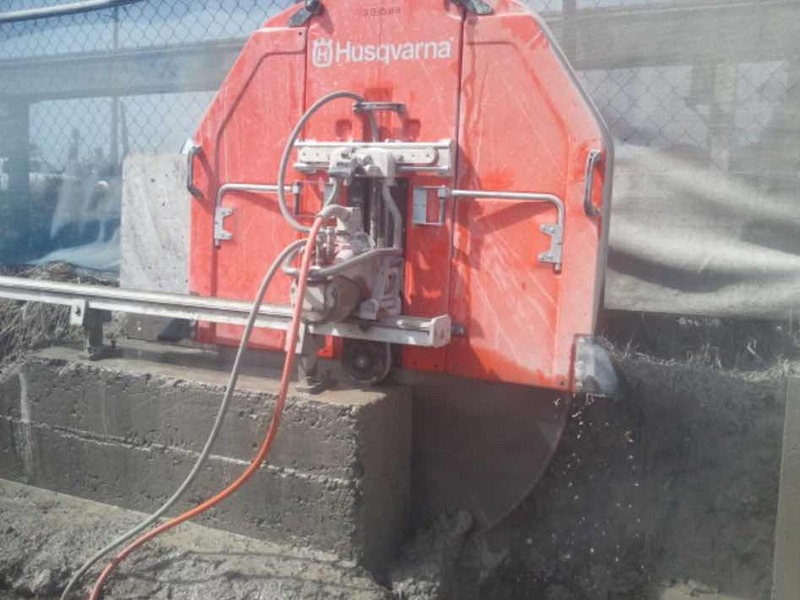 Mastercut Concrete have been cutting concrete in Sydney for over 20 years and have a fleet of skilled and mobile concrete cutters to cut, drill or grind concrete for you when you need it. Contact 02 9755 5505 for a free consultation and quote or complete an online quote request.